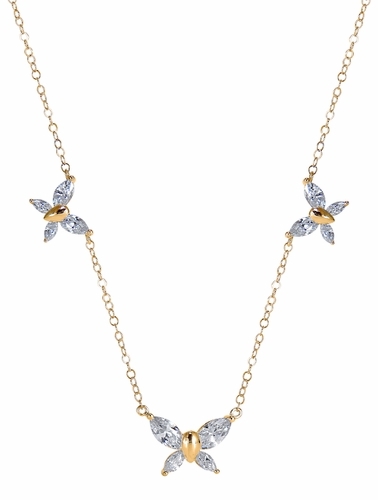 The Butterfly Marquise Cubic Zirconia Necklace will definitely add a fantastic glow to your neckline! 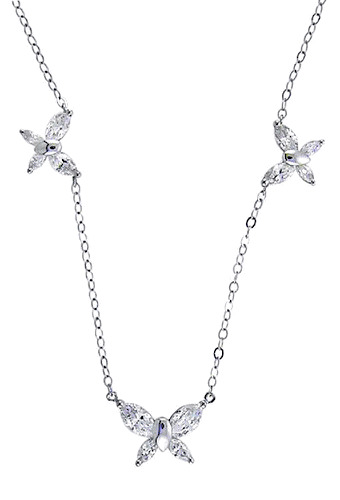 Three sparkling butterflies, with wings of basket set diamond quality marquise cubic zirconia stones, add up to a total of over 4.5 carats in total carat weight of the finest hand cut and hand polished original Russian formula diamond quality cubic zirconia. 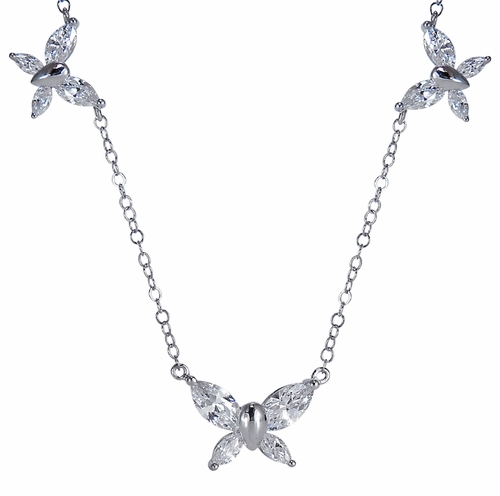 The necklace secures with a spring ring closure and comes standard in a 16 inch necklace length, and an 18 inch length is also offered. 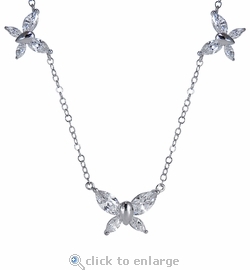 Available in your choice of 14k white gold or 14k yellow gold. For further assistance, please contact us directly at 1-866-942-6663 or visit us via live chat and speak with a knowledgeable representative.